Just because schools back in session doesn’t mean summer is over! 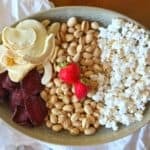 With Labor Day just around the corner, I thought I’d throw in a quick and easy fun twist for a cute centerpiece that also doubles as a heart healthy snack. 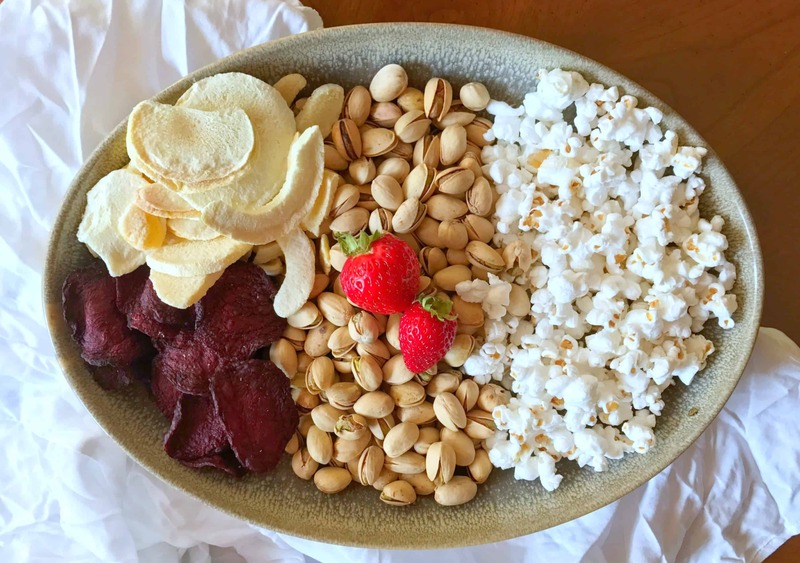 Deconstructed Trail Mix Party Plates – Naturally Vegan & Gluten Free! Really, this beauty speaks for itself. I won’t spend too much time explaining it because let’s be real, the beauty is in the photo! 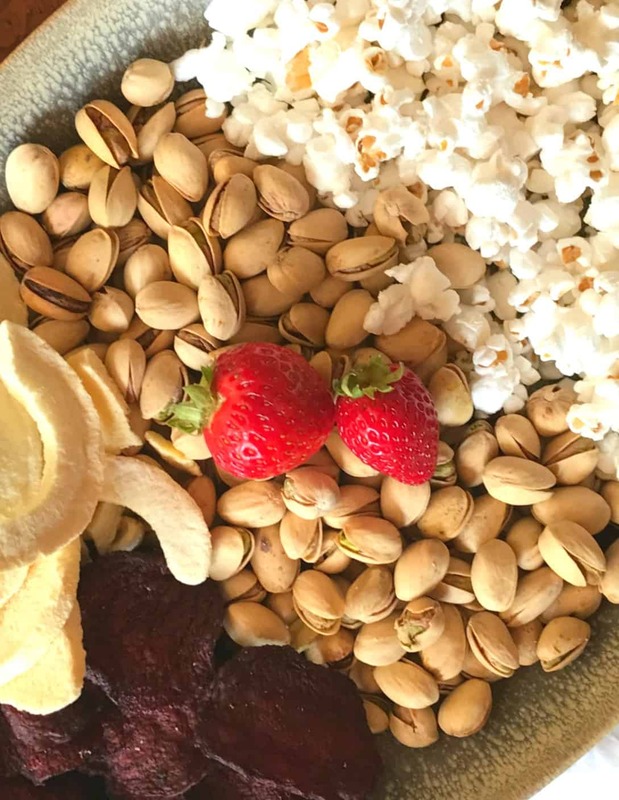 Just look at those beautiful beets, crisp dehydrated peaches, roasted and salted pistachios, and oh yes, the fiber filled popcorn. A winning combo for any party! Now, who’s ready to kick off Labor Day Weekend?! Set a large platter on the table and position each ingredient in one layer horizontally across the tray. Garnish with a little pop like the strawberries above. Looking for other snacks for LDW? 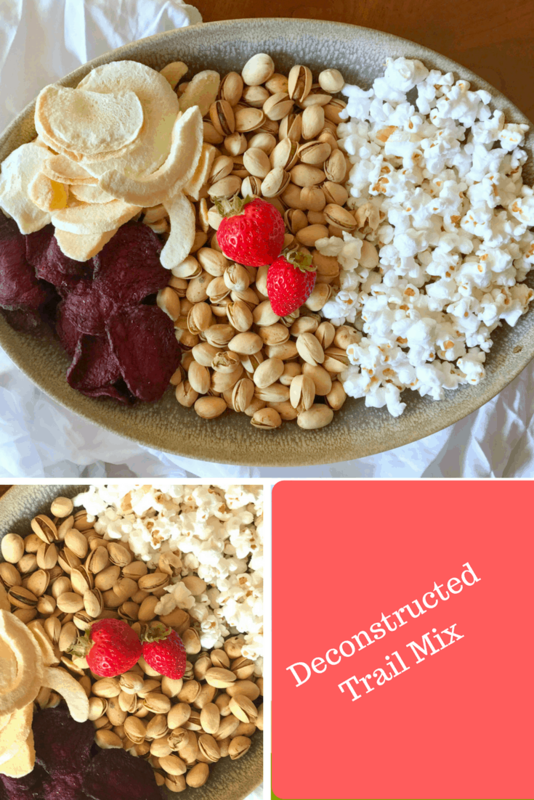 You might enjoy this Puppy Chow Chex Mix, Roasted Nuts or even this Salty Caramel Snack Mix! Such a neat Idea! This way people can pick and choose how much of each ingredient they want!! This is like the cheese plate for snackers! I will be getting right on this one for sure! I love a little bit of everything!